People of all shapes, sizes, colors, backgrounds, and cultures make up the kaleidoscopic network of Kybele, including those who have been touched by Kybele’s medical providers, people on the medical staff, other volunteers, donors, and the hundreds of people who help in often unseen and unrecognized ways. 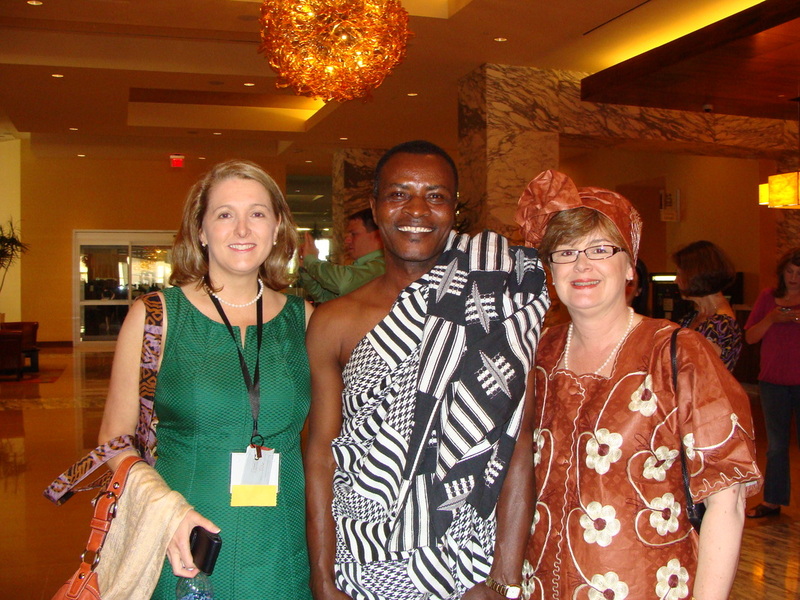 Samuel Dodoo is one of those key people on the ground in Ghana. Without Mr. Dodoo, Kybele Team Ghana would not be able to function nearly as smoothly as it does. Samuel, or Sammy as he is known by many Kybele participants, is the chief driver for the Ghanaian Health Service and was assigned to assist Kybele Team Ghana in 2007. Born near Accra, he attended school until life circumstances prevented him from continuing past elementary school. He then began driving professionally, something he’s done ever since. Married, he and his wife Rosa have three children, including one college graduate who is doing public health research. As head driver, his responsibilities include driving team members wherever they need to go and to make sure that they move freely and without hindrance. Sammy sees a key part of his job to include protecting Kybele personnel, whether that involves making sure they get the best deal possible at the open-air market or staying with luggage and supplies in the van while Kybele members run errands, or knowing the safest and best routes to get from Point A to Point B.
Sammy commented that driving on the way to work, Kybele Team Ghana members often want to take pictures of people selling things along the roadway. Sometimes people are offended by that and get angry or upset. Sammy, with a gentle demeanor and easy going countenance, then will talk with the vendors and smooth over those situations. While waiting at Ridge Hospital for Team Ghana members who are working, Sammy often chats with family members of patients being treated by Kybele staff. He has many stories of people being helped by Kybele. Cultural exchange on many different levels is a key part of Kybele’s success in the countries it serves, and this can take the form not only of medical teams traveling to host countries, but also includes host country representatives traveling to the U.S., Canada, and other nations which provide Kybele’s medical team participants. Samuel Dodoo recently traveled from the tropical coastlands and rainforests of Ghana to the cool spring of the NC piedmont. He traveled to the S.O.A.P. conference and met many new people while reconnecting with many Kybele team members during his month long stay. Warm and welcoming, Samuel is engaging, friendly, and very, very dedicated to Kybele and anyone associated with the organization. Developing cultural awareness and understanding is also an unofficial part of how Sammy helps Kybele team members. He joins the team members most mornings for breakfast, sitting around the large round table, eating, and helping team members to be considerably more effective by better understanding the Ghanaian culture. While in the U.S., he spoke to some schools, went horseback riding, and sampled foods and experiences typical of U.S. life. Kind and reflective, Samuel paused when asked how being involved with Kybele had affected him personally. He seemed moved by the way Kybele members treat him and one another. He described Kybele as being like a family and he was most grateful to be part of that family. He commented several times about how everyone on the team treated each other with the same degree of respect, warmth, and courtesy. 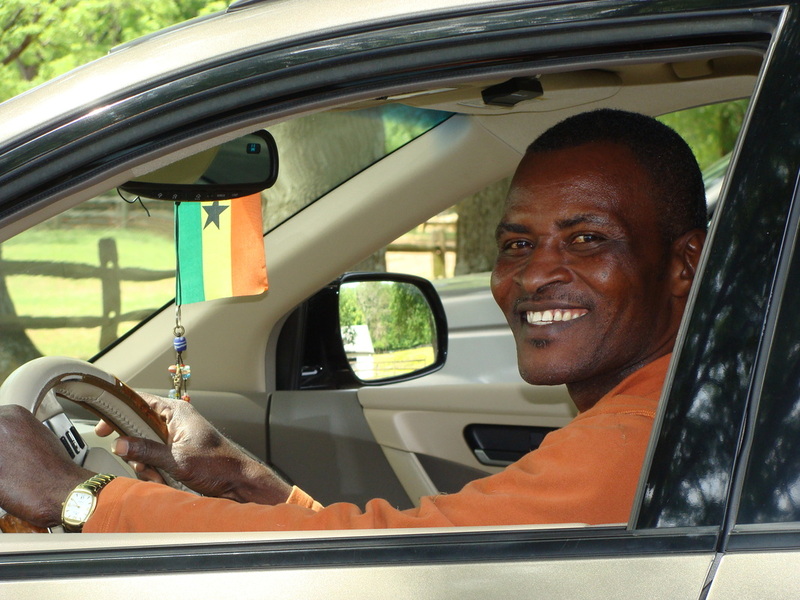 He shared that his association with Kybele had changed his life in a number of ways, from being exposed to different people and cultures to the very fact of his trip to the US, which probably would never have happened had he not been the Kybele driver. Samuel Dodoo makes a big difference for Kybele in a very quiet, unassuming way. Whether it is waiting at the Accra airport at four AM for an arriving flight, or explaining a cultural nuance at breakfast, or patiently making the fifth picture-taking stop on the way home from work, Sammy’s gentle, warm dedication, and professionalism are qualities on which Kybele Team Ghana has come to depend. We thank you, Samuel Dodoo.